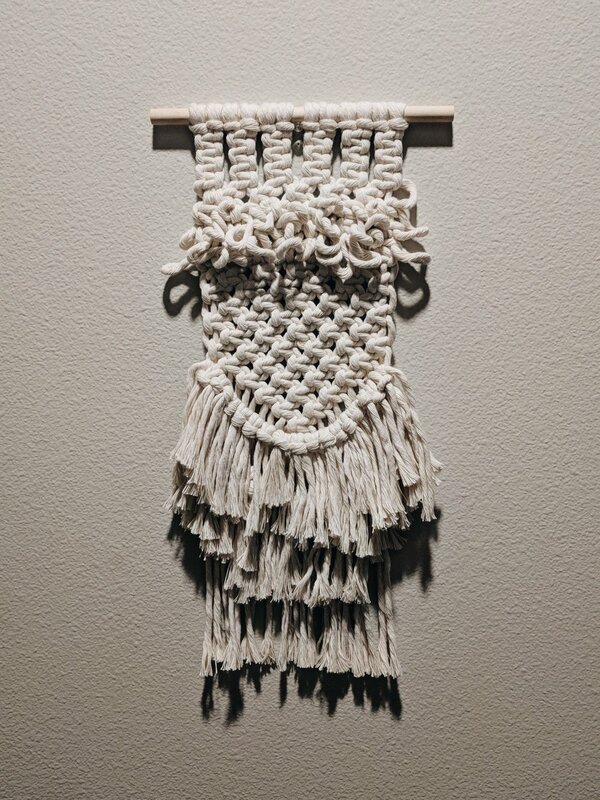 In this workshop, you will create a mid-size (12" x 16") wall hanging that features the most important knots in macrame - the square knot, half square knot, lark’s head knot, and the vertical and horizontal clove hitches. The following material will be provided to create a retro-but-modern macramé wall hanging: wooden dowel, natural cotton cord, fabric yarn, and a bit of wool for some extra pizazz. While the class comes with a wooden dowel for your project to hang off of, I encourage students to bring a small branch from their yard or neighborhood to make their hanging a bit more special. To purchase workshop spot, head to Starlight Knitting Society's website!